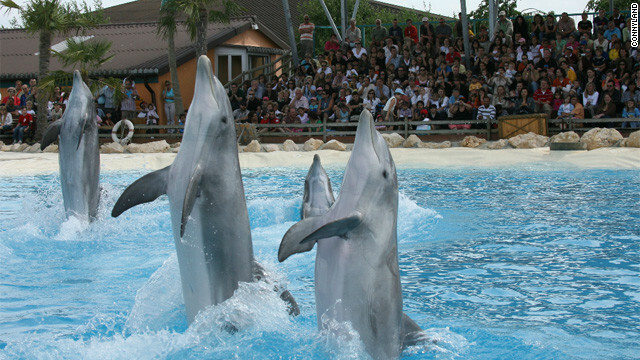 Dolphins perform at the Connyland marine park in Switzerland. Reading the headline, I expected this this article to be about team members of the Miami Dolphins. Sweet, Its a dolphin foaming at the mouth! They should have cooked him up and made dolphin steak!! Guess hes not king of the sea or faster than lightning now!! !